This After 2015 Sustainable Development Goals or UN Agenda-2030 is now a reality to go with this goals and targets for its all member countries. The purpose of this paper is to account for how lowest tier of our local government that is Union Parishad can help to achieve sustainable development Goals. In this paper my objective is to know whether our Union Parishad is ready to achieve SDGs Goal no 08 that is “Decent Work and Economic Growth” or not. To do this I have chosen a Union Parishd which is “Chandanpath” under Rangpur Sadar, Rangpur. I have collected my information through face to face interview of Public Representatives of Chandanpath UP, Focused Group Discussion with stakeholders and related document analysis. Combination of document analysis and information gained through interviews shows that our local governments are not in ready position to respond to and address today’s development challenges. After studying the different relevant documents we see that in developed countries local government playing a vital role in educating, mobilizing, cultural awareness, reduced prejudices and stereotypes, increased understanding of global inequality, and knowledge of the partner community and country responding to the public to promote decent work and contributing sustainable economic development. Though this practices on ground unequal, but in our country lack of knowledge and competence of public representatives, political unwillingness and insufficient resource are hindering the cooperation from having a larger impact in unemployment situation. This knowledge from study can be used to take further necessary steps from the policy planners and implementers of our country in a new light to achieve real economic growth. Mst.Sultana Pervin and Md. Humayun Kobir.Readiness of the Unioun Parishad for Achieving the Decent Work and Economic Growth Goal of SDGs: A Case Study of Chandanpath Union Parishad, Rangpur Sadar, Rangpur,Bangladesh. American Journal of Public administration, 2018,1:4. 1. Bovaird, T., and Loffler E., (2002). Moving from excellence models of local service deliveryto benchmarking “good local governance”. International Review of Administrative Sciences68 pp. 10-23. Globalized Economy?” London: Zed Books. 3. 203.112.218.65. (2018). ..:: Bangladesh Bureau of Statistics ::.. . [online] Available at: http://203.112.218.65:8008/ [Accessed 16 Aug. 2018]. 4. Centre for Policy Dialogue (CPD). (2018). Publication | CPD. [online] Available at: https://cpd.org.bd/publication/ [Accessed 16 Aug. 2018]. 5. Centre for Policy Dialogue (CPD). (2018). Centre for Policy Dialogue (CPD). [online] Available at: https://cpd.org.bd/ [Accessed 16 Aug. 2018]. 6. Dcci-dbi.edu.bd. (2018). Home | DCCI Business Institute (DBI). [online] Available at: http://www.dcci-dbi.edu.bd/ [Accessed 16 Aug. 2018]. 9. Cpd.org.bd. (2018). [online] Available at: https://cpd.org.bd/wp-content/uploads/2016/12/2030-Agenda-for-Sustainable-Development_Implementation-Challenges-for-Bangladesh.pdf [Accessed 16 Aug. 2018]. 10. Division, U. (2018). — SDG Indicators. [online] Unstats.un.org. Available at: https://unstats.un.org/sdgs/report/2016/ [Accessed 16 Aug. 2018]. 11. Sustainabledevelopment.un.org. (2018). Home .:. 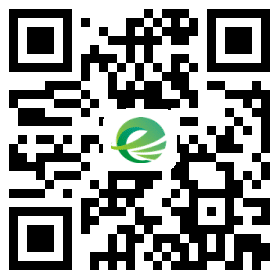 Sustainable Development Knowledge Platform. [online] Available at: https://sustainabledevelopment.un.org/ [Accessed 16 Aug. 2018]. 12. Mof.gov.bd. (2018). Finance Division, Ministry of Finance-Government of the People\’s Republic of Bangladesh. [online] Available at: https://mof.gov.bd/ [Accessed 16 Aug. 2018]. 13. Iosrjournals.org. (2018). [online] Available at: http://www.iosrjournals.org/iosr-jhss/papers/Vol.%2023%20Issue3/Version-5/B2303050714.pdf [Accessed 16 Aug. 2018]. 15. Rcmss.com. (2018). [online] Available at http://rcmss.com/2015/ijpamr/march/CHALLENGES%20CONFRONTING%20LOCAL%20GOVERNMENT%20ADMINISTRATION%20IN%20EFFICIENT%20AND%20EFFECTIVE%20SOCIAL%20SERVICE%20DELIVERY.pdf [Accessed 16 Aug. 2018]. 16. Icab.org.bd. (2017). ICAB. 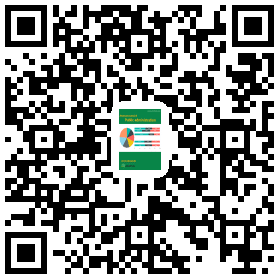 [online] Available at: http://www.icab.org.bd/icabweb/webGeneralContent/view/286043 [Accessed 16 Aug. 2018]. 17. Bdnews24.com. (2018). bdnews24.com. [online] Available at: https://bdnews24.com/economy/ [Accessed 16 Aug. 2018]. 18. Bdnews24.com. (2018). World Bank global report forecasts 6.7 percent GDP growth for Bangladesh in 2015-16. [online] Available at: https://bdnews24.com/economy/2016/01/07/world-bank-global-report-forecasts-6.7-percent-gdp-growth-for-bangladesh-in-2015-16 [Accessed 16 Aug. 2018]. 19. Millennium Project, (2006). What they are. [Online] Available at: http://www.unmillenniumproject.org/goals/index.htm [Accessed 19 March 2015]. 22. Immigrant Workers. Norway: OECD Publishing. 23. Reilly T, PhD, 2007. 24. Platforma. (2011). Decentralised Development Cooperation – European Perspectives. local-and-regional-level.pdf [Accessed 02 May 2015]. 26. Thwink.org. (2018). Thwink.org – Finding and Resolving the Root Causes of the Sustainability Problem. [online] Available at: http://thwink.org./ [Accessed 16 Aug. 2018]. 27. Express, T. (2018). The Financial Express. [online] The Financial Express. Available at: https://thefinancialexpress.com.bd/economy [Accessed 16 Aug. 2018]. 28. UNDP. (2018). UNDP – United Nations Development Programme. [online] Available at: http://www.undp.org/content/undp/en/home.html [Accessed 16 Aug. 2018]. 30. (UCLG), (2013). UCLG Policy Paper on Development Cooperation and Local Government. 32. Agenda: Opportunities at the National and Local Levels. Development Goals. [Online] Available at:https://sustainabledevelopment.un.org/topics/sustainabledevelopmentgoals [Accessed 23 March 2015]. development-agenda.html [Accessed 23 March 2015]. United Nations (2015) ,Transforming the World: The 2030 Agenda for Sustainable Development, New York. 37. UNDP. (2013). UNDP in Bangladesh. [online] Available at: http://www.bd.undp.org/ [Accessed 16 Aug. 2013]. 38. Un.org. (2018). Home | United Nations. [online] Available at: http://www.un.org/en/index.html [Accessed 16 Aug. 2018]. 39. Un.org. (2018). United Nations Security Council. [online] Available at: http://www.un.org/en/sc/ [Accessed 16 Aug. 2018]. 40. VNG, 2015. Local Governments and the Sustainable Development Goals (SDGs). [Online] Available at: http://www.vnginternational.nl/fileadmin/user_upload/2013_nieuwe_website/PDF/news_SDGs_3_march_2015.pdf [Accessed 20 April 2015].